A-Allman Brothers Band_56.jpg, originally uploaded by greg C photography™. 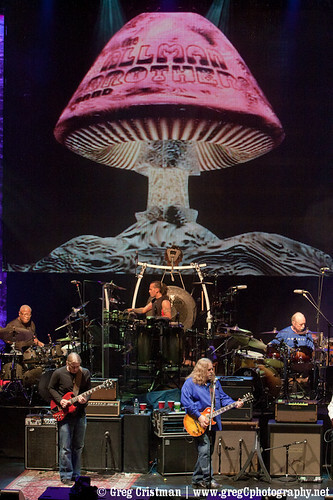 The Allman Brothers Band photos from 2011-03-24 at The Beacon Theater, NYC are now online. There were many guest appearances for this show; Leslie West (Mountain, West, Bruce & Laing & The Vagrants), John Kadlecik (Furthur, Dark Star Orchestra), Shawn Pelton (Backstreet Boys, Sheryl Crow, Shawn Colvin, Bruce Springsteen, Celine Dion, Billy Joel & Saturday Night Live Band), Danny Louis (Govt. Mule, Gregg Allman & Friends), James van de Bogert (Allman Brothers Band Drum Tech), Jay Collins (Gregg Allman Band, Levon Helm, James Hunter & The Dukes Of September), Scott Sharrad (Gregg Allman Band, Levon Helm, Amy Helm, Jaimoe's Jasssz Band, Jennifer Johns, Marshall Crenshaw, Kelley Hunt, Katy Pfaffl, Brian Charette, and Jay Collins & The Kings County Band), Reggie Pittman (Sarah Vaughan, Lester Bowie, Branford Marsalis, Natalie Cole, Curtis Fuller, Eddie Palmieri, Hank Jones, Aretha Franklin, Diahanne Carroll, Louis Bellson, Mitzi Gaynor, Joe Williams, Gladys Knight, The O’Jays, The Brooklyn Philharmonic Orchestra, The Ohio Chamber Orchestra, Ringling Brothers Barnum and Bailey Circus, The Pointer Sisters, Queen Latifah & The Temptations), Brian Mitchell (Bob Dylan, Al Green, B.B. King, Levon Helm, Mary J Blige, Allen Toussaint, & Dolly Parton) and Tom Guarna (Blood, Sweat and Tears, The Yellow Jackets, Randy Brecker, Lenny White, Victor Bailey, Gary Bartz, Fred Wesley, Mike Clark, Tim Hagans, Greg Tardy, Bob Dorough, Craig Handy, Uri Caine, Chris Minh Doky, Buddy Defranco, John Benitez, Gary Smulyan, Joe Locke, E.J. Strickland, Billy Drummond & the Mingus Orchestra). Whoa! That's quite a cast of guests!